If you’re like me, you’ve got a good dozen maps plastered to the wall in your garage, covering every surface, marked up with notes, plans, and everything I might need for the ultimate off-road trip. For years my mantra has been “head north” - with plenty of options north of Toronto, it’s only recently that I’ve started to run low on options for new places. But there’s one place, east of the mega-city, that I’ve had on my list for years and haven’t so much as touched the boundaries of its 1600 miles of trails. It’s my firm belief that the Eastern Ontario Trails Alliance, or EOTA, is a national treasure, and in the coming years will be recognized alongside other major off-road destinations like Moab, Hatfield-McCoy and Paiute. What makes EOTA such a killer off-road destination? It’s the size of the system and the way it’s connected to the communities throughout almost all of Eastern Ontario. The trails mix true back-country riding, with winding trails that flow up and down over the hilliest country in Ontario, and rail trails that connect all the major access points - so you can set up shop at one lodge or hotel, and get halfway across the province much faster than if you had to ride technical trails all the way. It’s this balance that puts this trails system in a class of its own, making it the kind of destination people could ride their whole lives and never explore all of it. Like all touring ATVers, my first thought is finding a suitable basecamp, somewhere I know they’ll be fine with a bunch of muddy boys rolling in late in the day and helping them get their machines clean and their bellies fed. Known by locals and travelers alike as a power sports haven, the Pine Grove is the perfect spot to set up camp for your ATV weekend trip. 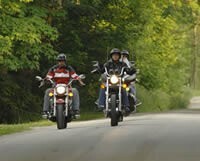 The owners are big into motorized vehicles and are happy to provide some pointers about where to go and what to do while in the area. Recently featured in ATV World’s profiles of ATV friendly accommodations, Limerick Lake offers some pretty spectacular riding right out of its front door, with plenty of space for trucks and trailers and kitchens and bbqs at most of the cottages. If you want to combine a fishing and boating with your ATV trip, this is the place. Located in the heart of the trail system in Bancroft, the Sword Motor Inn is close to tons of great places to get a drink or something to eat at the end of your day. 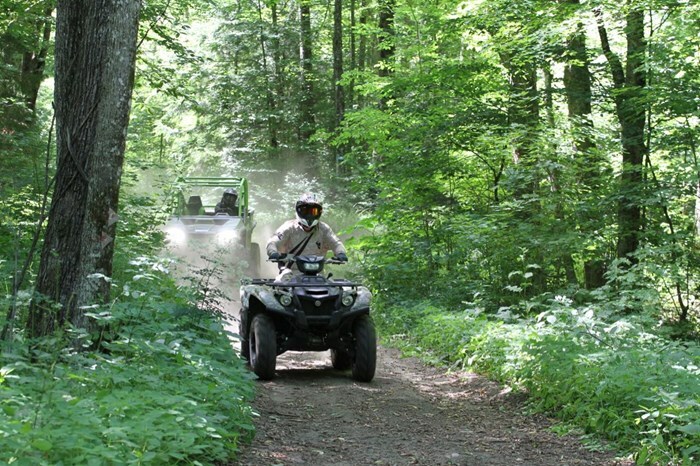 The EOTA are multi-use trails, so they welcome dirt bikes, ATV and ADV bikes, along with hikers, horses, and bicycles. But the variety of riders is nothing compared to the terrain. As you head north the terrain goes from deep forest into rolling hills and rock cuts. Four pre-planned loops make trip planning easy - but I should reiterate that the EOTA is such a well connected trail that if you wanted to just go where the wind took you, the amazing signage and ease of use would allow you to find your way home - although a paper map is always helpful. There’s also a number of package deals that take advantage of local lodges and guides to take you through the system - as many days as you like. Take a look here. 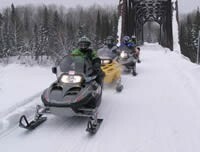 The incredible thing about the EOTA is that its always growing - last year came the announcement of work beginning on connecting to the Renfrew County ATV trails, and now the way is paved for their OnePass trail pass to allow riders on the Park to Park system in Muskoka and Parry Sound. So the value of the trail pass just keep getting better and better. 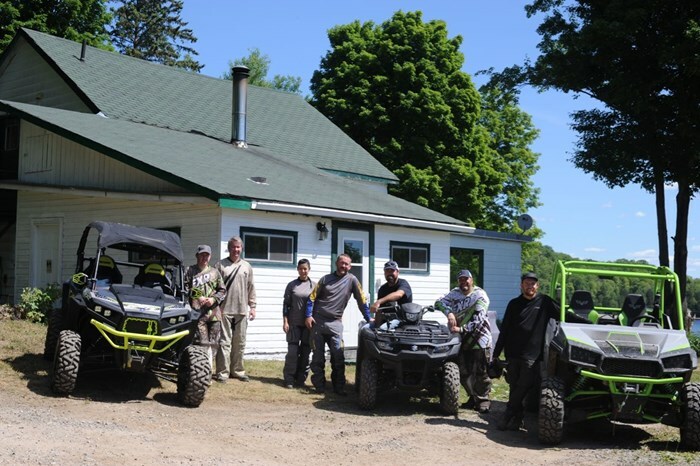 So, is this the year you finally make the leap, and explore Ontario’s largest interconnected ATV trail system? 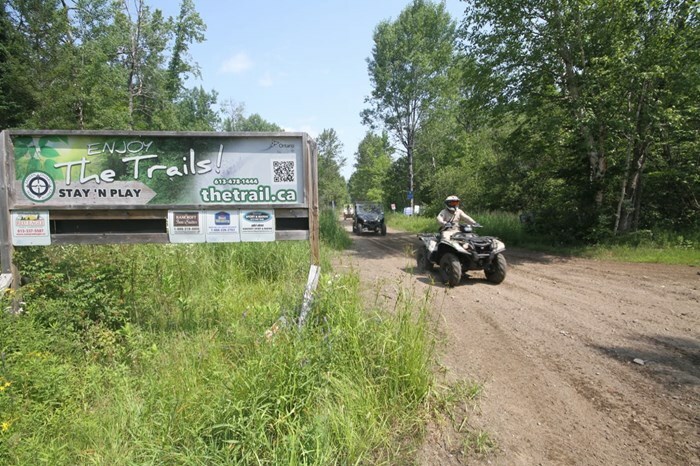 Check out www.thetrail.ca for everything you’ll need to plan your next epic ATV trip.